Death Masks: Still Being Made? From time to time, we will feature questions we receive across the Death Reference Desk. Jason writes: I was reading in “The Rest is Noise” that there was a death mask made of the composer Arnold Schoenberg, who died in 1951. This got me to thinking: Do people still have death masks made? Are there companies who make them? Your recent article about the urn-head made me think of this. Well Jason, the short answer is no — not really. But, the long answer is a bit more nuanced. Essentially, death masks aren’t really being made — forensic photography has made documenting the dead an easy and efficient process. However, as it concerns death masks to memorialize individuals in an artistic way — this is still going on. Only now it is called “lifecasting”. Lifecasting is the process of casting faces–or other body parts (!) — while a person is still alive (Cynthia Plaster Caster comes to mind as a modern cultural reference). Lifecasting allows sculptors to create a “living memorial” to a person still alive — but may be created in all likelihood for later use as a posthumous tribute. In addition to faces, pregnant bellies, breasts (for pre-mastectomy patients, for example), and any and all variations upon a theme can be cast. There is even an association called the Association of Lifecasters International. And, here’s an article from Art Casting Journal, August 2001, that lays out the connection between death masks and lifecasting. The Lancet even got in on the act with this journal article. Sorry, this is a citation only — check your local library for full-text access. 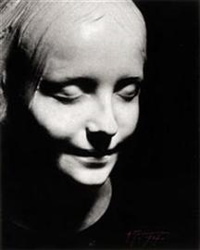 Posted by Kim in Death + Art / Architecture, Death + Popular Culture, Death Ref Questions, Monuments + Memorials and tagged death masks. Bookmark the permalink.